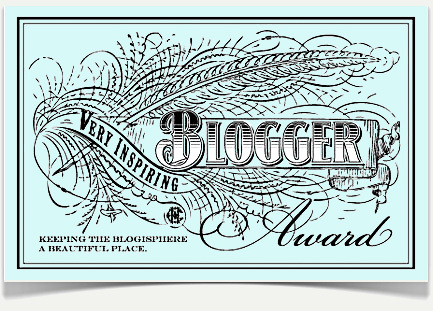 The lovely Anna Worden Bauersmith (Anna W-B, as I like to call her) of If I Had My Own Blue Box recently awarded me with a Very Inspring Blogger Award. Anna is amazing at mid-19th century millinery and accessory sewing, and has published several publications on those very subjects that you should definitely check out! Anyways, the rules are to thank the person that nominated you (thank you, Anna! ), and post 7 facts about yourself. Rather than 7 facts about me (because I really have nothing interesting to say on that subject, I sew and bake and watch Mad Men), I’ve decided to post 7 recent happenings/things I’ve been doing lately. Sound good? Here we go . . .
1) I just got an iPhone. As somebody who has never had a smartphone before, this is a huge transition, BUT, I have to say that I love the darn thing. It’s a really smart device and incredibly handy to have. I also finally feel like a member of the 21st century, he hee. 2) I also just signed up for PayPal. It’s also a handy thing to have, although it is *so* not helping my vintage clothing addiction . . .
3) Speaking of vintage clothing, I just bought 2 vintage swimsuits in the last week. The first one unfortunately does not fit, so I’m hoping that the second one (which is in the mail on its way to me now!) does. 4) In related vintage news (see how everything is flowing nicely? LOL), I also started swing dancing regularly again. Very good exercise, and very fun, too! 5) Speaking of good exercise (but not fun), I also started running again. I used to do this a ton when I was a teenager, but fell off the wagon. It’s a good stress relief for me, though. 6) Speaking of stress relief, I’m also in the midst of planning my summer vacation to Berlin and Vienna! I haven’t been to Europe in 2 years (and Berlin and Vienna in 4), and it’s definitely time to go back. 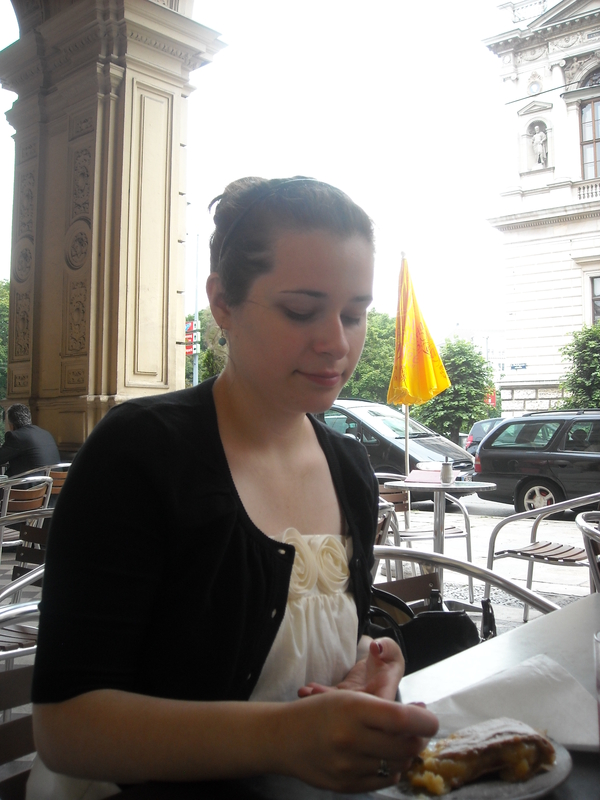 Eating apple streudel in Vienna, Summer 2009. *I don’t know why I love this movie so much, but I do. You can read my review of it here. Ooo! Congrats! What a fabulous award! Also, congrats on the iPhone and Paypal! Now when we get together and swap clothes you can just Paypal the gals and not worry about cash!! Gosh, I miss swing dancing! In high school I was co-president of our swing dance club, but haven’t done it since. Where are you going? I can’t wait to read all about your European adventures. Also, I really loved Abraham Lincoln Vampire Hunter too! So, it’s cool! No worries here. Thank you! And PayPal is *so* handy! I should’ve signed up for it ages ago, but I’m signed up now. And I go swing dancing in both Olympia and Tacoma, in really great vintage buildings. If you’re ever in the area, you should definitely swing by! And swing dance club in high school!? Totally jealous! Welcome to the 21st century, Anna! LOL! Congrats on your award. It was fun to read these “non-facts” about you! hahaha I can relate to the ‘joining the 21st century’ feeling, I experienced that when I switched to a smart phone a couple of months ago. It’s surprisingly useful! Berlin has been on my to-visit list for ages now, have lots of fun! It is useful! I can easily see how people get addicted to these things.